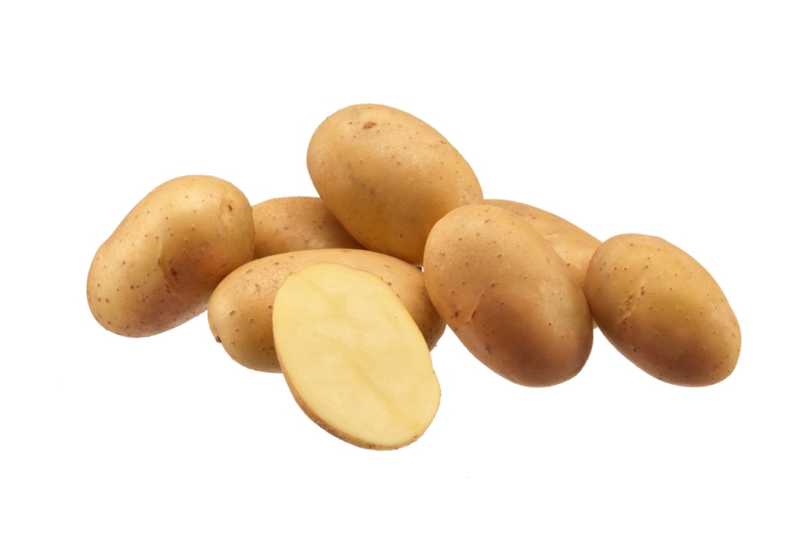 Athlete is a variety ideally suited for the creamer potato market. Firm to cook with a good taste and even size, it produces a lot of small pale yellow skinned tubers with pale yellow flesh colour. The tubers are oval, with shallow eyes. Athlete is slightly susceptible to common scab, if grown on sandy soils, and it needs irrigation; it has excellent resistance to late blight and tuber blight. Athlete is also very suitable for producing organically, requiring low inputs. Dry matter content is quite high giving it a good cooking and frying quality. Planting out of the cold store after warming up is recommended. Planting distance of tuber size 35/50mm is approximately 25cm (53,000 plants per Ha). Use of Sencor can give some foliar discolouration and yield reduction and is therefore not recommended. Athlete has a good primary leaf development. Foliage is medium strong and soil coverage is good. It is not prone to bruising or black spot. Athlete has a short dormancy and is therefore not suitable for long term storage. Athlete is susceptible to common scab. Resistance to blackleg and late blight is good, and tuber blight is very good. Athlete is resistant to PCN Ro1 and Ro4.